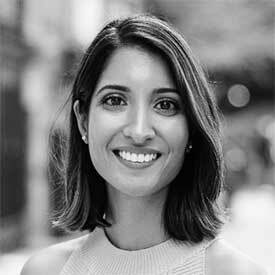 Shivani Siroya is the founder and CEO of Tala, a leading mobile technology and data science company committed to expanding financial access, choice, and control for underserved consumers. Tala’s smartphone app provides instant credit scoring, lending, and other personalized financial services in emerging markets. Prior to founding Tala, Shivani held a variety of positions in global health, microfinance, and investment banking, including with the United Nations Population Fund, Health Net, Citigroup and UBS. Shivani is an Aspen Institute Finance Leader Fellow, a WEF Young Global Leader, Senior TED Fellow and Ashoka Fellow. She is also on the board of Stellar.org. She holds a M.P.H from Columbia University and a B.A. from Wesleyan University. Tala is backed by IVP, Ribbit Capital, Lowercase Capital, Data Collective, Collaborative Fund and other leading venture and impact investors. In 2018, Forbes named Tala as one of the top 50 FinTech companies in the world, and Tala's work has been highlighted by the New York Times, the Financial Times, the Wall Street Journal, TED, and TechCrunch, among others. Tala is headquartered in Santa Monica with additional offices in Nairobi, Manila, Mexico City and Mumbai.